Carly Mejeur is a daughter of Florida, born and raised. Her life and her art are deeply connected to the ocean that surrounds America’s peninsular state. 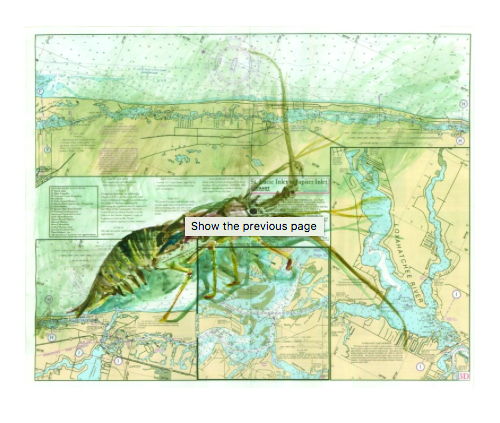 No wonder then that she was inspired to use old maps and charts as the surface for her watercolor paintings depicting marine and land creatures found in the surrounding sea and shore. Her education took her out of the state to Baltimore to attend the Maryland Institute College of Art (MICA), where she earned a bachelor of fine arts in painting and a master of fine arts in art education. 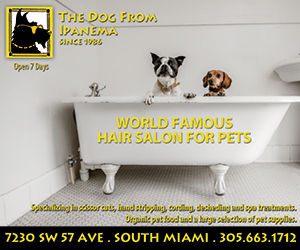 After returning to Florida, she became an art teacher at the Palm Beach County public charter school. The school focuses on Marine Science and conservation, two of Carly’s abiding interests. 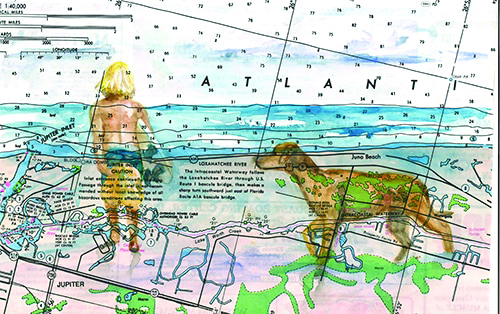 Carly’s delicate watercolor depictions of water birds and marine animals are painted on the map or chart in the location that particular creature inhabits. The delicate and somewhat fragile handling of the paint represents the delicate and fragile existence that many of these animals face as their habitat loses the ability to support them. 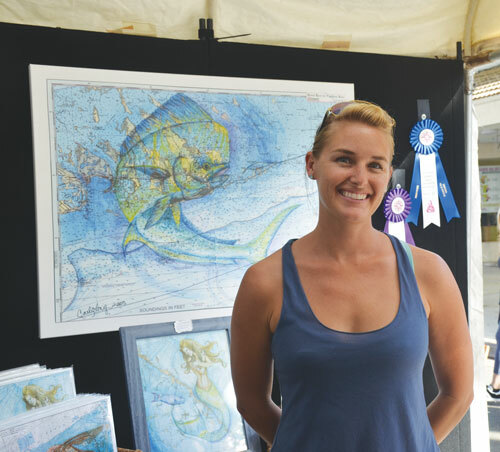 Her work features Florida and other marine environments around the world. 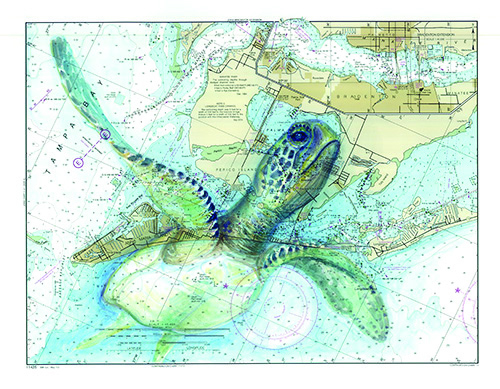 “Anna Maria Island Turtle” Part of the March of Turtles Gulf Coast series. 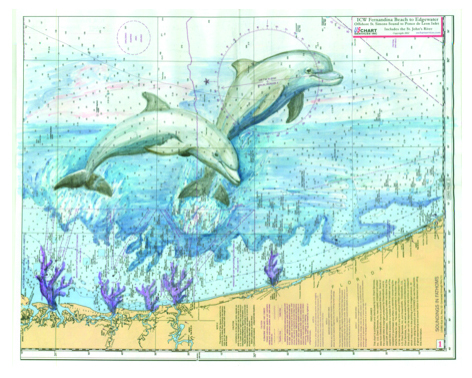 Jacksonville, Fl Dolphins on a nautical chart of Jacksonville to Daytona Beach. Carley’s concern for the environment and conservation is interwoven into her work as an artist and as a teacher. Perhaps best captured in a quote from her online biography she says, “I knew that I wasn’t the first to paint on maps, and I won’t be the last, but I wanted to bring something new to the concept by integrating the creatures with the chart to feel like they seamlessly belong, each piece presenting its own challenge. It has slowly transformed into a beautiful metaphor on its own. I use my painting of marine life to connect man-made lines and numbers with the organic composition of the islands and coastlines. The artist lives in Lantana with her husband and two sons, Cody and Tanner. 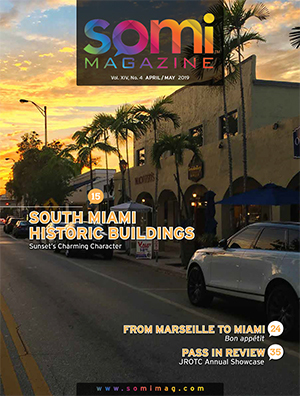 Among her pursuits involving the preservation of Florida’s environment is a series of lunchboxes on which images from her Nautical Chart Series appear. A portion of the revenue from these products is donated to conservation organizations. There is a saying that “art informs life.” In her dual roles as artist and educator, Carly Mejeur dedicates her time, talent, and knowledge to inform people about the need to cohabitate the planet with our fellow creatures. For more information about Carly Mejeur, please visit her site at www.carlymejeur.com, follow her on Facebook at https://www.facebook.com/CarlyMejeurArt/ and instagram.com/carlymarineart or contact her via email at carlymejeur@gmail.com.